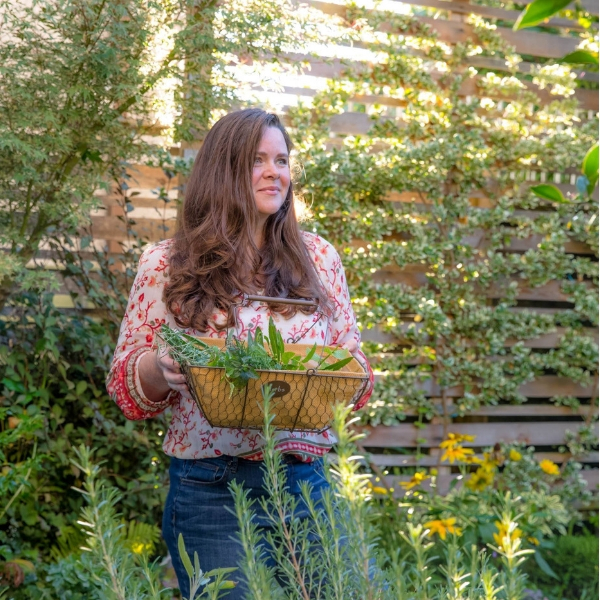 Hi I’m Stephanie, the creator of Garden Therapy, where you will find hundreds of garden-related projects, crafts, and recipes to help you live a better life through plants. 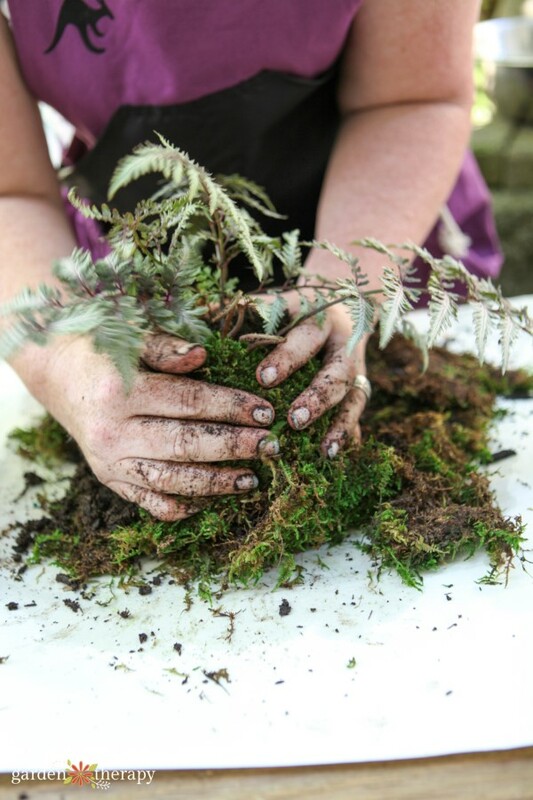 Whether you are a seasoned gardener or a brand new sprout, there are ideas here to get your hands dirty and create something beautiful. Each week I share new gardening ideas, DIY projects, crafts, and recipes related to gardening. Most everything you will find here is directly related to gardening although projects may stretch into other areas like Plant-Based Beauty or Coloring as therapy. Look through the gallery pages to find your inspiration and detailed tutorials. Or check out our most popular projects. Hopefully what you see will encourage you to dig in and get a little Garden Therapy of your own. Read more about me here, here, and here. On July 10, 2006, I got a headache. I remember the day well because that headache became an illness that lasted for almost 9 years. The headache pain morphed into pain and paralysis accompanied by crippling fatigue. I spent the rest of that year in bed, and much of the following year as well. After a year-and-a-half of pain and sleeping my life away I started to regain enough energy to make little steps. Simple tasks, like walking or holding a hairbrush, felt like momentous feats of strength. I had to learn to use my body again. As the spring arrived in that third year, I ventured outside. I couldn’t go far so I looked to my own yard for activity. I decided to build a garden and rebuild my health at the same time. I observed the barren and neglected landscape and scratched in the dirt a little. I borrowed books on gardening from the library and experimented in my yard. Week-by-week I made the efforts to do something—anything—outside, even if it was for just 5-minutes each time. I took a big leap one day and signed up to host a charity garden in my front yard. I donated the space to a non-profit organization dedicated to helping people living with addiction to gain real-life skills working with plants. They planted over 350 1-gallon, unmarked pots of perennials in my sunny front yard that, once established, could be divided and sold to support the charity. I instantly had a garden to tend to and learn about. A season spent tending to these green leaves and watching what they became was a high dive into gardening. And I was hooked. The following year I ventured into vegetable gardening as well. With more books from the library, some seed catalogs, and an empty backyard, I continued my education. After many years of backyard vegetable growing at least 100 different varieties, I was now an edible gardener as well. This back-to-basics crash course took me not only to gardening but also through canning, fermenting, sourdough cultures, cheese-making, soap-making as well. I ate food I had grown from seed, made all of my own beauty and cleaning products, and worked every day in an organic garden. I would argue that there isn’t a better recovery program in the world! There were still days, weeks, and even months that I was confined to a bed, dreaming that my body would let me get outside again to heal and thrive. I rested when I needed to and when I had even a spark of energy I gardened, learned, and experimented while creating a rich garden space that was constantly changing. 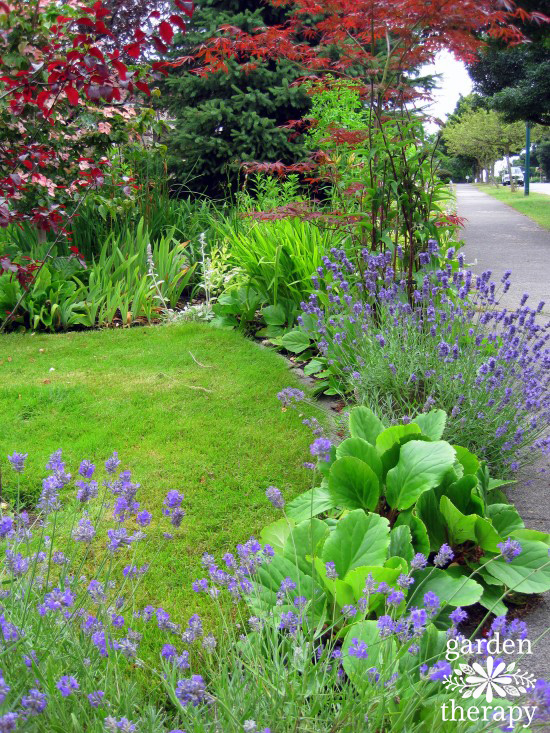 I signed up for the Master Gardener program in Vancouver as a way to further my recovery as well as formalize my education. After training, I joined up with a community outreach program at UBC farm, the Intergenerational Landed Learning program, which takes a group of urban school children to the farm during the school year to teach them about farming. I’m grateful to be a volunteer Master Gardener and continue learning through others in the community. Throughout this process, I started blogging. Initially, the blog began as a personal record of my activities but it bloomed into a way to connect with others who were also spending time in the garden to heal in some way. I registered the GardenTherapy.ca domain and began to share the projects that I was working on in the garden. Each time I showed one of my finished projects or a few flowers from the garden, I would get emails asking how I did it. With cooking, some people use recipes and others just run wild in the kitchen. Well, I ran wild in the garden. I would experiment and test new ideas and they would sometimes work and sometimes fail. If I had a success on my hands, I would make it again and take step-by-step photos along the way so I could share it here. 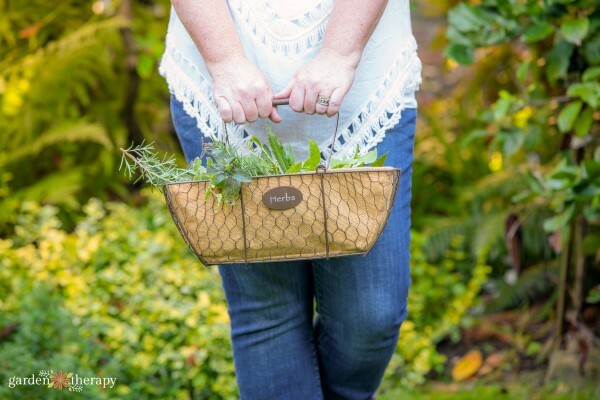 My articles, projects, and recipes on Garden Therapy still follow the idea of blogging as sharing my personal take on gardens and crafting from natural materials but I work hard to share each step with photos so that they can be recreated by others. Over the years, I’ve invited authors and other garden makers to share articles on how to make a garden. These brilliant minds have added so much more wisdom and artistry than I could have on my own. 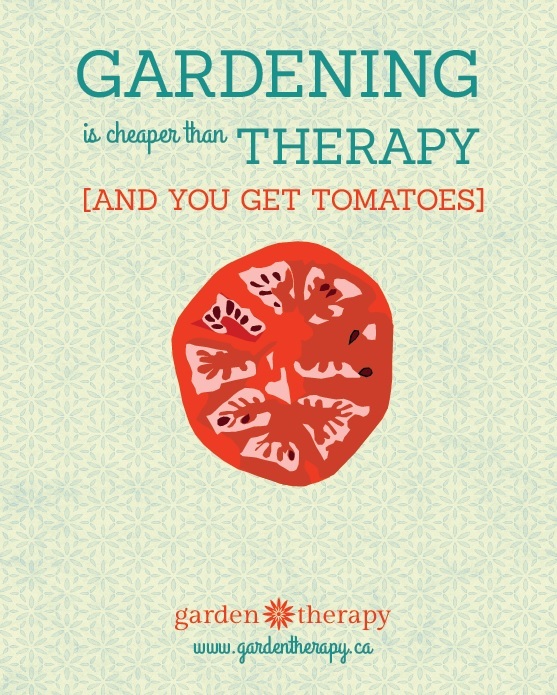 Garden Therapy now contains over 1000 (ONE THOUSAND!!) articles and projects created by our collective Creative Team. I have had the honor of hearing the stories and struggles of people all over the world who have turned to gardening as therapy for physical pain, illness, disability, emotional trauma, mental illness, grief and loss, stress, and fatigue. And many more who just feel giddy around plants even if everything is peachy with them most of the time. I get it. I really do love plants and I know you do too. With so many ideas to choose from, there is sure to be at least one that inspires you. How on earth will you wade through them all? We have set up a Virtual Garden Tour Page for you to pick a way to search the site and find ideas for your life. Have a question? Start with our Frequently Asked Questions and feel free to contact us with questions that remain unanswered. © Garden Therapy 2008-2018. Unauthorized use and/or duplication of this material without express and written permission from this blog’s author and/or owner is strictly prohibited. Links may be used, provided that full and clear credit is given to Garden Therapy with appropriate and specific direction to the original content. More detail on our content sharing policy can be found in Q8 of our FAQ.